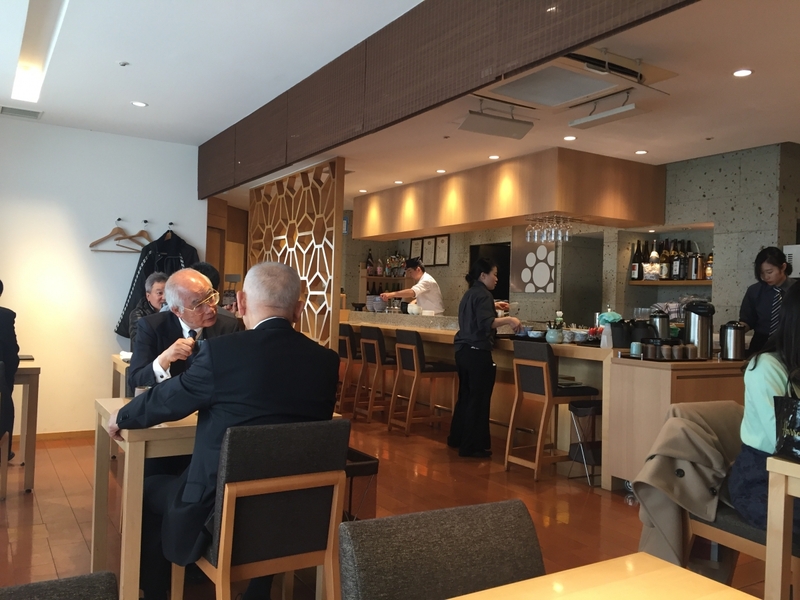 If you happen to be in Roppongi at lunch time, looking for a high-quality yet reasonably priced lunch in comfortable surroundings, try Konpeki No Umi in the Piramide Building just behind the Roppongi subway station. 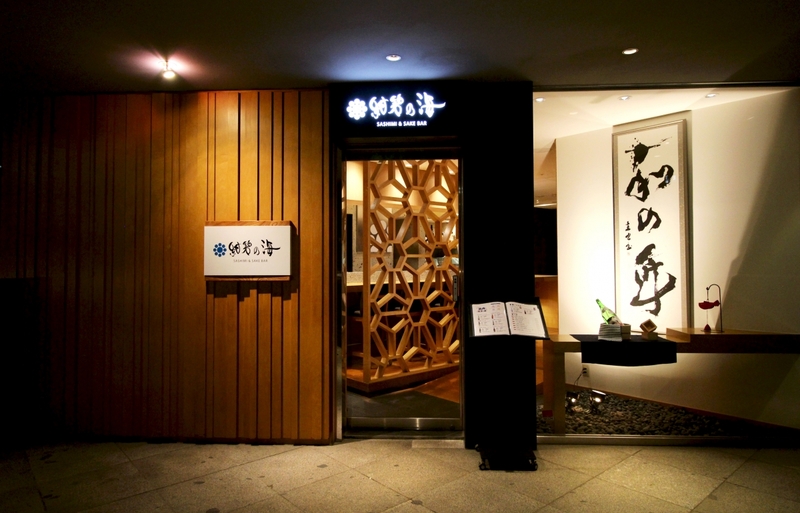 Loosely translated as “deep blue sea,” Konpeki No Umi is a Japanese restaurant that highlights seafood and serves both traditional and contemporary dishes in a minimalist setting of light wood and white walls decorated with ceramic art work. The main dining room is light and airy. 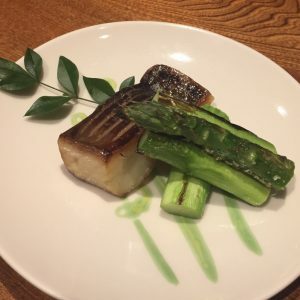 Although the restaurant’s promotional brochure says it is a “sashimi and sake bar,” it is not a “bar” in the usual sense of the word but a restaurant, which serves fish sourced from Izu and Ito in Shizuoka prefecture. 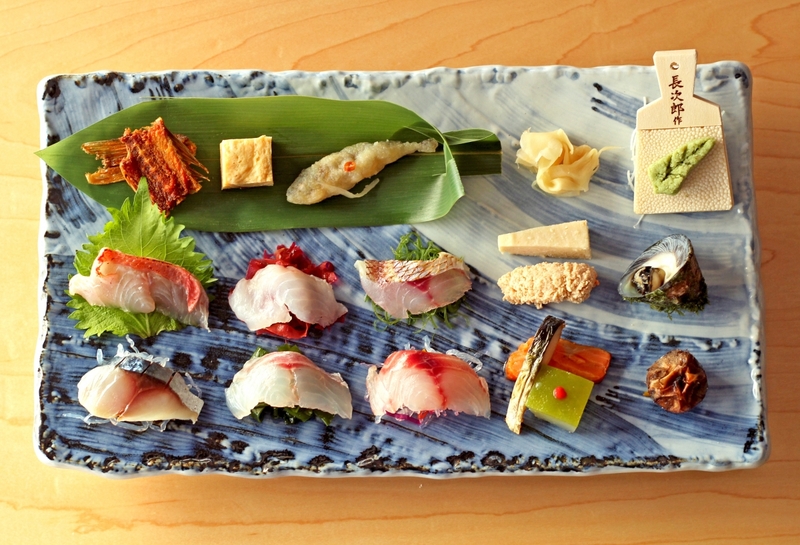 Through a partnership with the Izu Ito Local Fish Kingdom, a collection of three fish associations and a marine technology research organization, Konpeki No Umi is able to serve wondrously fresh fish that is delivered on the same day it is caught. 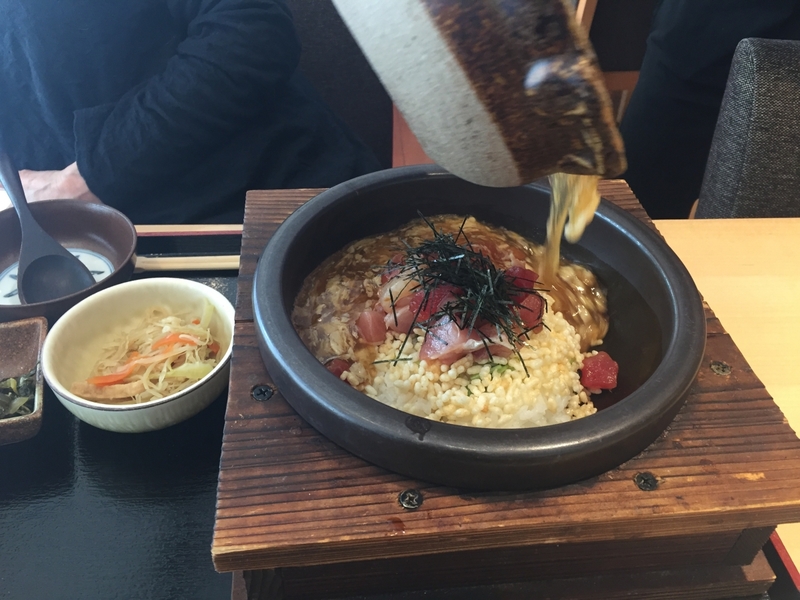 Lunch on a recent weekday featured Konpeki No Umi’s signature dish of hot stone-cooked seafood on a bowl of rice. A server pours the hot sauce over the sashimi and rice. 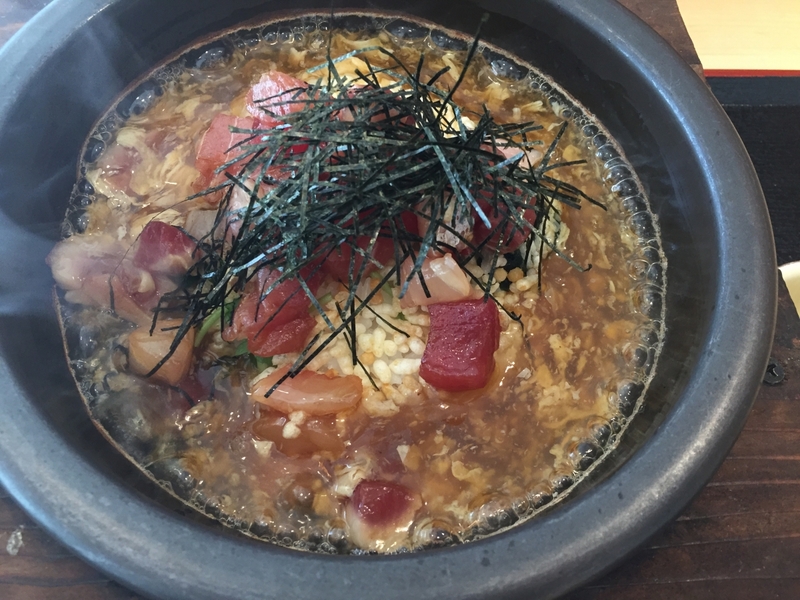 The seafood was sashimi – maguro (tuna) and buri (Japanese amberjack) – which was seared to a soft texture by the hot sauce, resulting in a warm and delicious bowl of upmarket comfort food. The hot, thick sauce adds flavor to the dish but leaves the sashimi tasting fresh. On the side were a small salad, miso soup and pickles, a welcome accompaniment to the excellent rice. At Y1,300, this set lunch ticked the boxes for value for money and excellent taste. Other lunch dishes include a bowl of rice topped with fresh seafood, also for Y1,300 and a sumptuous seven-course lunch for Y4,500. 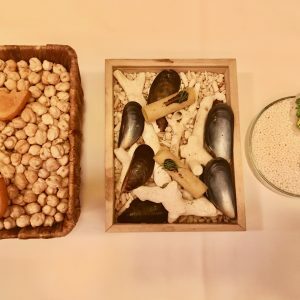 In the evenings, Konpeki serves a moriawase dish, or mixed platter, of various sashimi, vegetables and other foods, which it likens to a kaiseki, or traditional multi-course meal on one dish. To accompany your meal, there are sakes from all over Japan, a range of cocktails and beers as well as soft drinks. The house wine is available by the glass (Y700) or bottle (Y3,500). 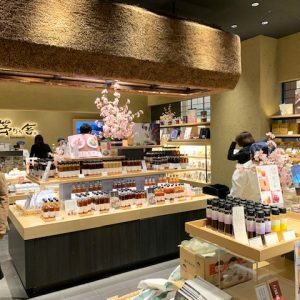 A note of warning: Konpeki No Umi offers a party plan and a free-flow plan, which means that evenings can get rather rowdy if there is a large group in the main dining room. And for those who like to linger over lunch, be warned, the restaurant has a strict cut-off time of 1.30pm for last orders.